Looking for the ultimate 2 ingredient recipe to whip up for breakfast? Look no further, Banana Egg Pancakes are the bomb! You can make them in minutes, they taste incredible and they are healthy! 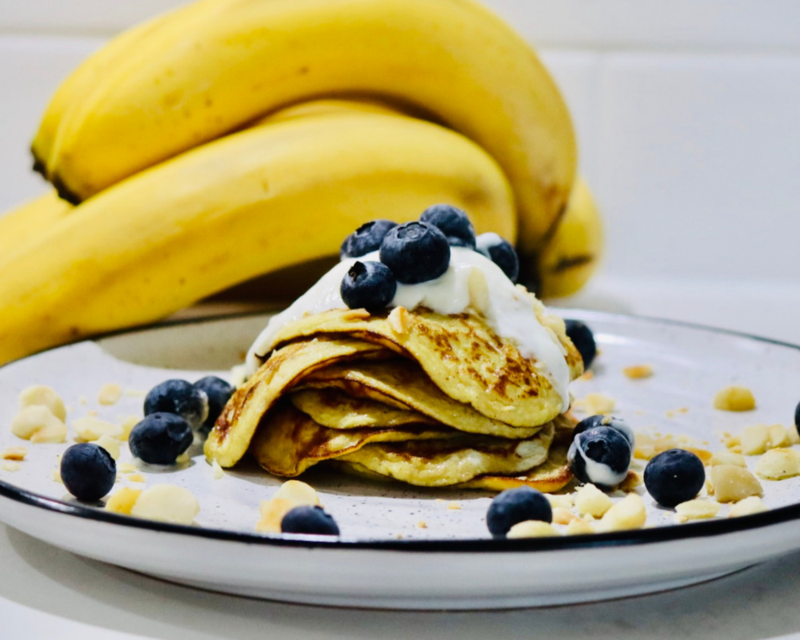 I have been making these on a Sunday morning as a healthier alternative to traditional pancakes, and I am hooked. I add the tiniest hint of cinnamon and organic vanilla bean paste to mine, and they cook to perfection every time. 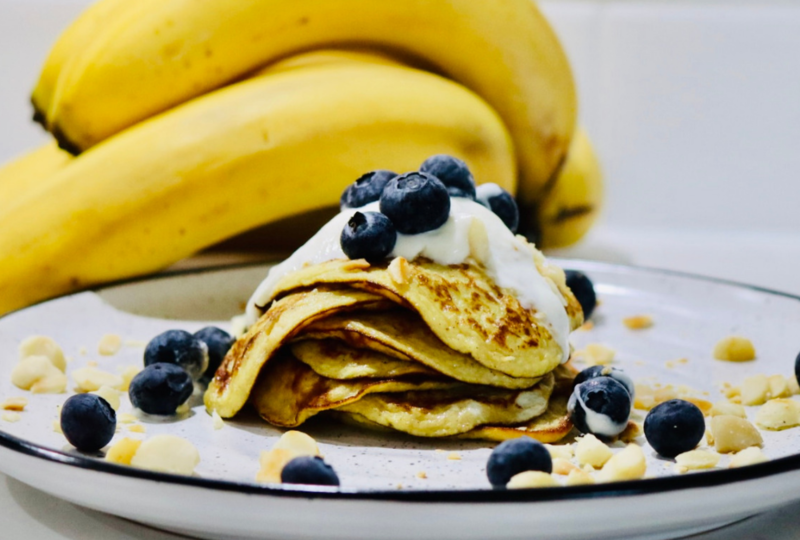 I serve my golden pancakes with a tablespoon of natural yoghurt, toasted macadamias, berries and the slightest splash or organic maple syrup; it’s beyond yummy! I am very excited to share this recipe with you; I know you will love it. Happy Cooking! Mash banana in a medium sized bowl. Whisk eggs and add to the banana. Stir the mix until combined. Fry in your pan with a little melted coconut oil or butter. These pancakes cook very quickly, it’s best to keep them small. You will need to cook them 80% of the way before flipping. Once flipped they will only take a very short time to finish cooking. They are very delicate, take care when flipping. Keeping them small helps. I add a tiny pinch of cinnamon and a smidge of vanilla bean paste to mine. To make them extra healthy I use all organic ingredients.